JASON, an independent advisory group of scientists, has issued a very interesting and informative report, Data for individual health, with findings and recommendations for a patient-centered Learning Health System in which the focused is on the health of individuals rather than the care of individuals. The report builds upon an earlier 2013 report, A robust health data infrastructure. Figure 2-6. The architecture proposed by JASON is meant to tie together diverse information resources and so is also applicable to a learning health system. 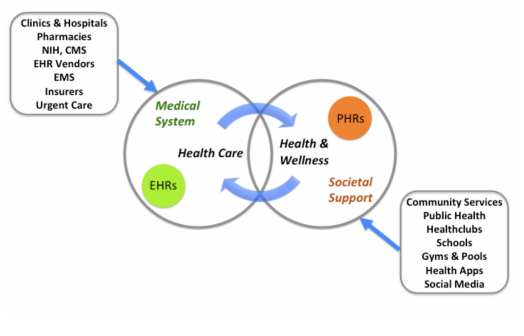 Individual personal health records (PHR) are essential components of this patient-centered framework, enabling the learning shift in focus from care to wellness. Figure 2-3. 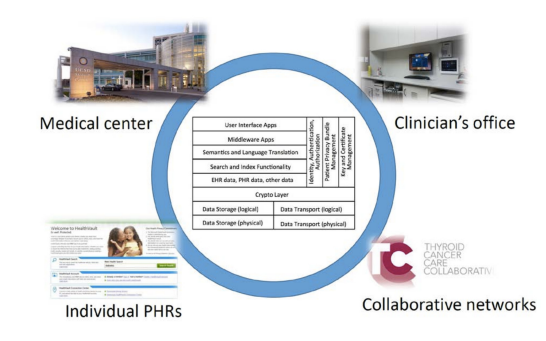 Integration of data required for a Learning Health System. We see in this report the ideas, findings, and recommendations of the best and brightest scientists as they offer insight and guidance in the evolution of the health information systems in the United States. For anyone interested in health IT and PHR, this report is a worthwhile read. This entry was posted in Health IT, Patient Engagement, PHR/EHR. Bookmark the permalink.